"Co-produced this show with 11-year-olds. Absolutely wonderful - excellent parts for the highly talented and less talented. Clever, amusing and hugely enjoyable. 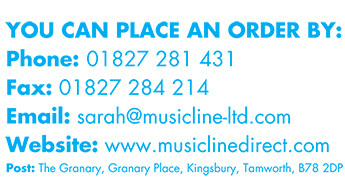 Delighted that we could speak to Musicline directly for advice and discussion. They were so willing to be flexible which meant we could have one or two minor adaptations and additions to make it 'ours'." Can be reduced to 19 speaking roles (see "Casting" tab). No pianist required! However - for those of you who prefer a live pianoforte accompaniment, we now have available a superb BRAND NEW Performance Score which encompasses Overture, ALL Songs, Link Music, Cues and Chord Symbols. (Grade 6/7 standard). We also have available a BRAND NEW Rehearsal Score (Grade 3 / 4 standard). "We have performed this at our local theatre with a cast of 225 over the past 3 nights and what a performance!! The script had the audience in stitches and the songs were so catchy we have been singing them around school for weeks! Many thanks for such an amazing script - we will definitely use Music Line again." "I played Rebecca and LOVED it! Got 3 encores and the audience loved it. Easy to stage and definitely recommended!" "Thank you for this wonderful production; it was ideal for the Year 6s at the end of the year. There's lots of dry and mature humour in it and plenty of opportunities for dance and song so it appeals to all ages. Lots of positive feedback from cast and audience. Highly recommended by Miss Jones." "Great fun everyone enjoyed it and got involved. One of the best plays I have seen." "Put on this show with Year 6 last July and it was fabulous! There are a variety of characters to appeal to all children and plenty of scope for additional scenes & characters. (we even included the famous 'Thriller' dance for our ghouls) The scenery & props were quite easy to put together, and with effective costumes, it was a visually stunning show. The music isgreat & the children loved the songs. It is a very manageable play - we actually only cast this show 18 days before the performance and the audience nearly took the roof off at the end. A highly recommended show... now we have to follow that this year!" "We performed this show in July 2009. It was a great show for a lively Year 6 with support from Year 5 pupils. Many speaking roles and opportunities to dance to lively tunes. We had a pianist but the backing CD helped us learn the songs easily. We added lots of scarey sound effects to the show and had amazing costumes and scenery. We even made our own coffins for the show. I would recommend this show to any teacher. I'm not a music/drama specialist but it was an easy show to understand and manage. Funny script ! Lots of variety. Good for boys and girls." "This play was one of the best I have seen! The script is accommodating for all the year's many talents - singing, dancing and acting with lots of humour. The King is dead! long live the king (my son was Elvis!)" "Co-produced this show with 11-year-olds. Absolutely wonderful -excellent parts for the highly talented and less talented. Clever, amusing and hugely enjoyable. Delighted that we could speak to Musicline directly for advice and discussion. They were so willing to be flexible which meant we could have one or two minor adaptations and additions to make it 'ours'." 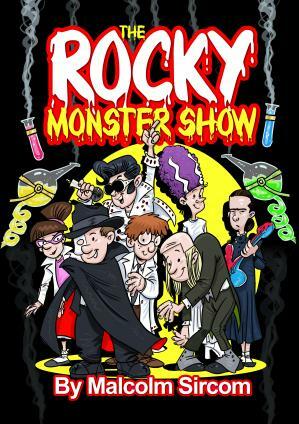 ""The Rocky Monster Show" was acted by us Y6's at our school. Everyone who watched it said it was the best show they had seen in years. One in a Million Show!" "This was sooo.... much fun to work on, and I'm really pleased I did get involved! It had the odd flaw of dancing with a boy, but the experience overall was thrilling!!" "Just seen this fabulous play at Laceby Acres Junior School. My grandson Brayden Albery played the monster Mungo. It was brilliant and most enjoyable." "I just want to let you know that my production of "The Rocky Monster Show" in April received the best response from parents that I have ever known." "We performed "The Rocky Monster Show" with an exceptional year 6 group last year and it was a WONDERFUL experience! It was especially perfect for the more quirky members of our class and it is definitely worth doing!!!" "The funniest play I've staged in a Primary School. Real coffins and a touch of dry ice worked their magic! Elvis went down a storm as did pink wigs for "The Superbs!"" "This is a great production and we will remember it for years to come! This is a truly great production! Also, it's a lot of laughs !!! HAHAHAHAHAHAHAHAHA"
"I had the lead role as Fenton, and I really enjoyed acting it out and watching the other actors perform. The audience found the play exciting and enjoyed the corny jokes and storyline. It was a really good and funny play! Highly recommended." "Children, staff and parents loved this show. We even borrowed coffins from the local undertaker! One of the best musicals we have done." "Fantastic show - great songs and characters with lots of opportunities for dance, song and drama." "Absolutely brilliant! Included all of our KS2 children and everyone loved it. Highly recommended." "It is a brilliant production with lots of humour." "Performed with Years 3 to 6 to a very appreciative audience! I thoroughly recommend it - I will definitely be performing it again in the near future!"